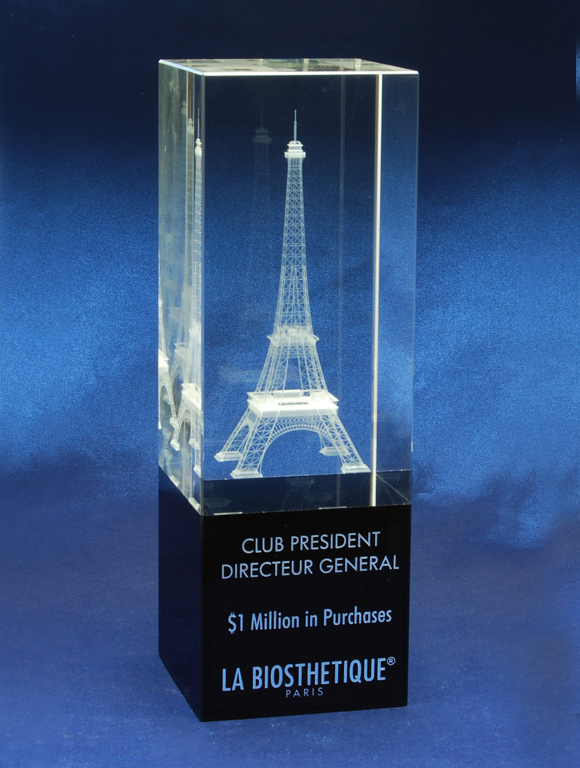 3D internally engraved crystal can be used to put any imagery within a crystal form. The level of detail that can be achieved is extremely fine. This opens a huge range of possibilities for custom bespoke trophies. The crystal shape and size can be adjusted to suit your requirements and budget. This is our third year using Premier Awards and the quality, price and customer service have been great. The team address enquiries promptly and provide solutions to our needs. We will be using them again.